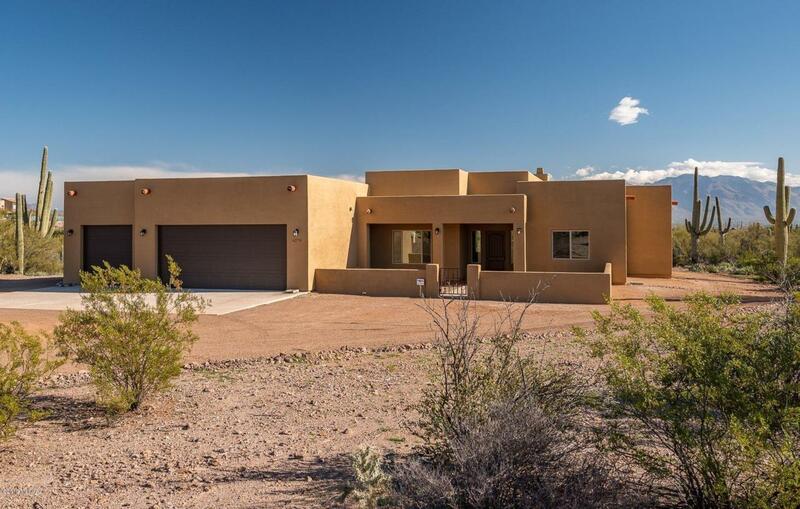 This custom home sits on 4.33 acres of LUSH desert landscape with picturesque mountain views from every window. 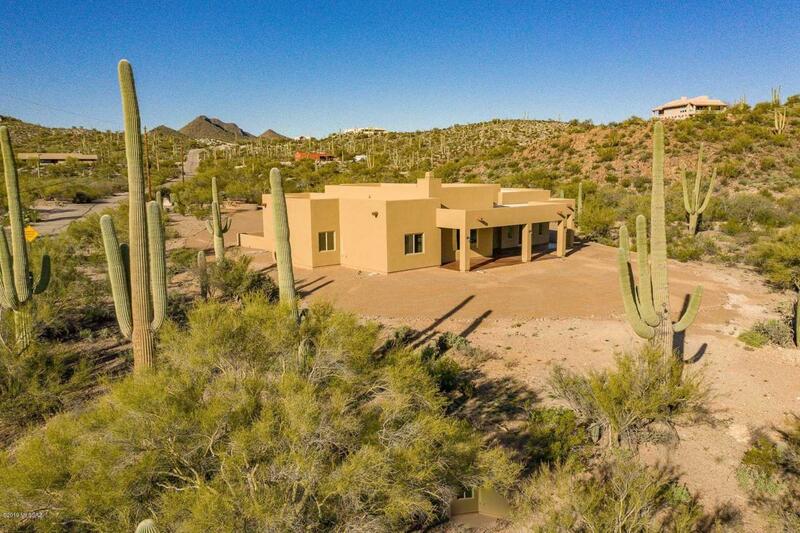 The home is surrounded by beautiful Arizona saguaros and jojoba brush. 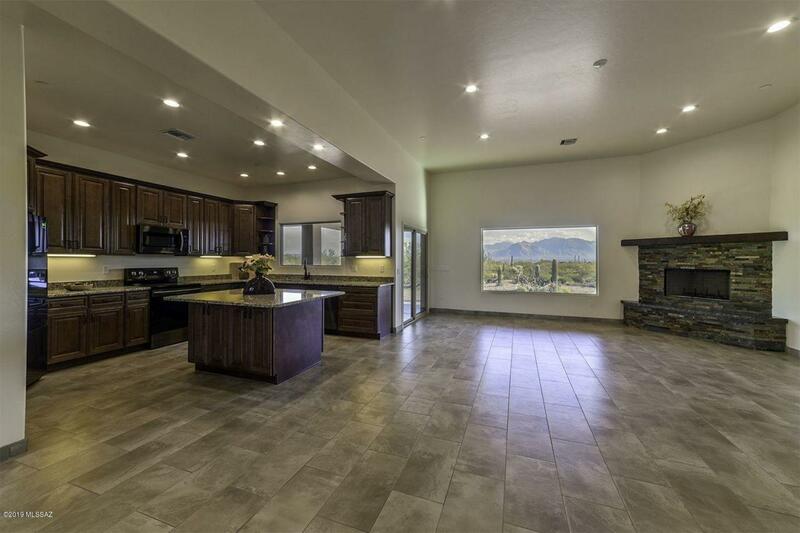 The open floor plan concept with 12' high vaulted ceilings is stunning! 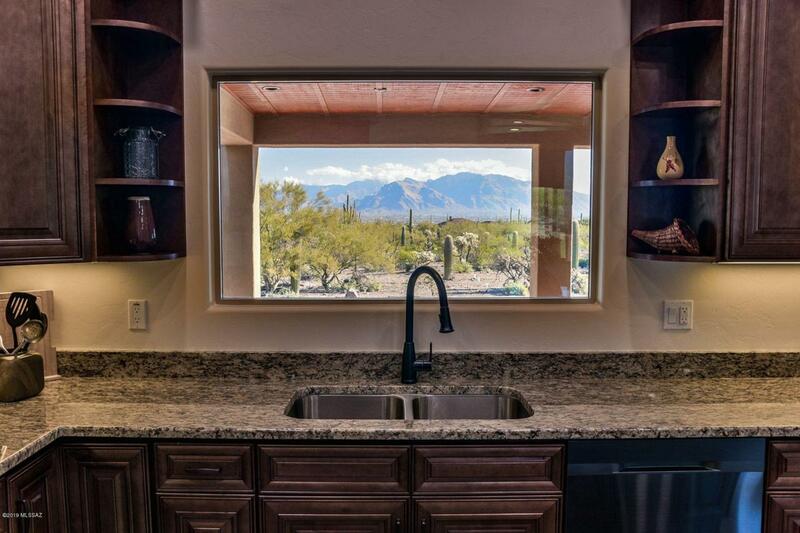 Custom mocha cabinets with 3cm granite counter tops, large porcelain tile flooring, black SS Samsung appliance pkg, large island with plenty of cabinet storage, mocha stained alder doors throughout, large sized bedrooms and closets. Great property for entertaining! Front gated courtyard with covered entrance, extended back patio with stained concrete, custom plywood ceiling at patio, 1000 sf 4 car garage with 8' high custom doors, RV parking, only 8 minutes from I-10..This truly is a DIAMOND in the desert! !